The biggest surprise about Steve James‘ touching documentary chronicling the legacy and final days of film critic Roger Ebert is Ebert himself. While it’s always been clear that Ebert was mad about the movies, the general public really never knew the extent to which Roger Ebert’s “love story” also included the woman who would become his wife and business partner during the last two decades of his life. In Life Itself, a two-hour documentary based upon Ebert’s memoir of the same name and currently screening in theatres, on iTunes and Video On Demand, director Steve James takes viewers back to the place where Ebert’s love affair with movies began–his home turf of Chicago–and his transition from neighborhood news hound to Pulitzer Prize-winning film critic for the Chicago Sun-Times. While Ebert put film criticism on the Pulitzer map and turned his “thumbs-up” into a coveted endorsement, he was no saint. He drank to excess, caroused with “weird’ women and had a difficult relationship with fellow critic Gene Siskel, with whom Ebert partnered on TV to wide success. He met his wife at an AA meeting. They were introduced by advice columnist Ann Landers. A fine romance. 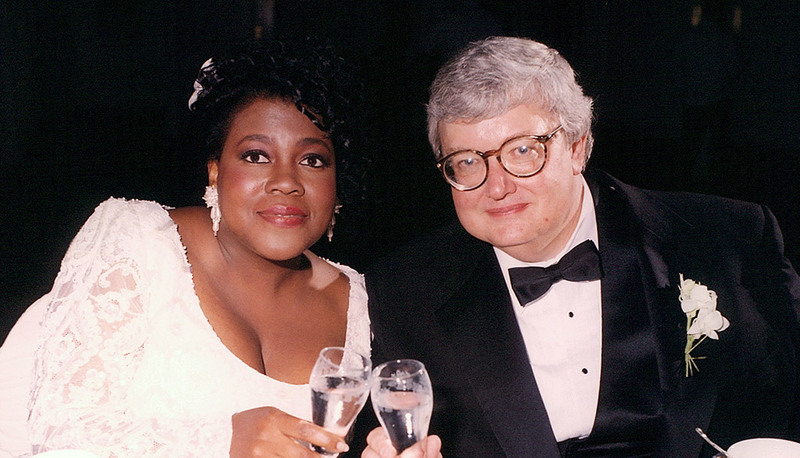 Chaz and Roger Ebert on their wedding day. Photo courtesy Magnolia Pictures. In his later years, Ebert was diagnosed with thyroid cancer, and the treatments ultimately left him physically disfigured and unable to speak. With his devoted wife, Chaz, by his side, he tackled his mounting physical challenges and grueling medical protocols with amazing positivity. And he never stopped writing. Although it becomes apparent during the film that his illness was terminal, he remained feisty and focused and determined to participate fully in the production. He shares his thoughts on his illness, pivotal memories and movies and their makers via his “voice”-activated laptop. An avid blogger, Ebert continued to ply his journalist chops on the Internet until the end of his days. His blog became his voice as he expanded his commentary into the social and political arena. He died in April 2013. 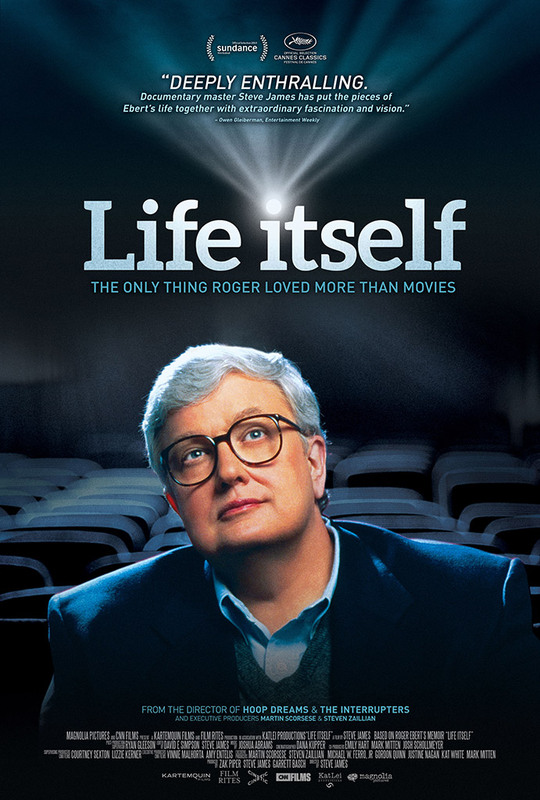 The most engaging portions of the film recall and include input from Ebert’s pals and colleagues: his Chicago newsroom cronies; fellow film critics; the filmmakers whose friendships never compromised Ebert’s honest evaluation of their films; his touching love affair and late-in-life marriage to Chaz; and his conflicted, competitive partnership with Gene Siskel (whose wife provides some not-so-flattering memories of her own). An early advocate of Martin Scorsese, who is also Executive Producer of Life Itself, (along with director Steven Zaillian (Schindler’s List, Moneyball), Werner Herzog, Gregory Nava and Errol Morris, among other trailblazing independent filmmakers, Roger Ebert turned the American public on to serious film criticism without, as Scorsese says here, drowning his prose in ideologies. 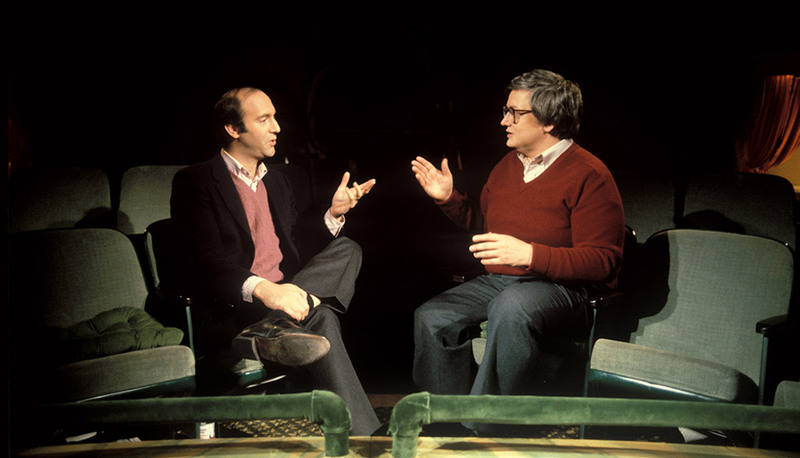 Gene Siskel and Roger Ebert “At the Movies.” Photo: Kevin Horan. Magnolia Pictures. “I was born inside the movie of my life,” Ebert says in Life Itself. As the camera rolls for the last time, he hides nothing, not the worm holes that littered his early career, or the ravages that ate away at his body as his career and his life drew to a close. Ebert’s journey is rolled out for everyone to see; it’s often bumpy, but it’s well worth the ride. This entry was posted in Film and tagged Alcoholism, Chaz Ebert, Death & Dying, Film Criticism, Gene Siskel, Life Itself, Love Stories, Marriage, Martin Scorsese, Roger Ebert, Steve James, Thyroid Cancer. Bookmark the permalink. I’m so glad you appreciate my work, Donna! Thank you! I ENJOYED YOUR REVIEW AND WILL ENJOY THE MOVIE, AS WELL! I’m so happy that you enjoyed my review, Lynn, and hope you’ll get to see the film!